BLUE WATCH from Newcastle were presented with certificates of commendation by Chief Fire Officer Becci Bryant at an event at Newcastle fire station. 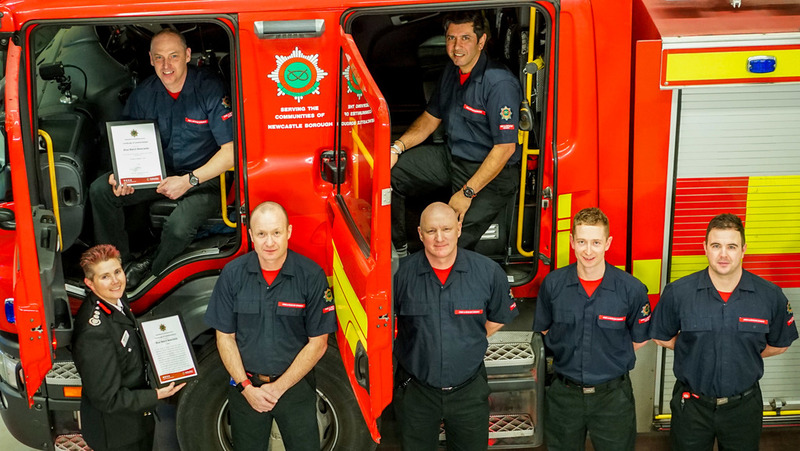 Crew members are: watch manager Jason Richards, crew manager Jas Sokhal, and firefighters Ian Cooper, Paul Diamond, Sam Durber and Steve Snape. The commendation recognises their commitment and dedication in extremely difficult conditions. Becci Bryant said, “Their actions and behaviour that evening epitomises what the Service is all about. They put their welfare second to ensure that the house was saved and they worked in the most difficult of circumstances throughout the night. I believe that their actions saved the house from being lost to the fire.